PUSSYCATS, FINALS ARE DONE, IT'S TIME TO REJOICE! I know I've left you guys totally hanging this semester, other than my occasional rant about how stressed I was, I really didn't let you guys in on what I was doing! In addition to my work with Art+Flea and Disfunkshion magazine, I was a producer on a TV news program for my Journalism class. It was really difficult and really annoying but we finished it, and have an amazing product and yeah, I'm pretty stoked! 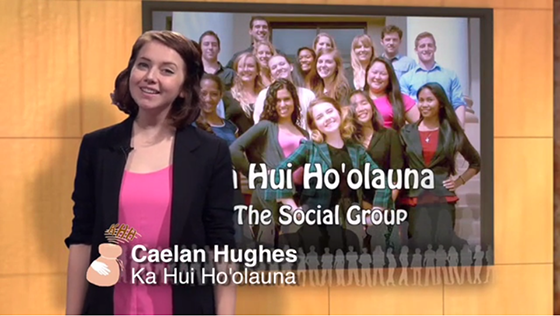 Ka Hui Hoʻolauna Show 12 from Campus Connections on Vimeo. So let me know what you think, and I promise we will be back to regularly scheduled posts, I FINALLY HAVE TIME TO BREATHE!!!!!!!!!!!!!!!!! !